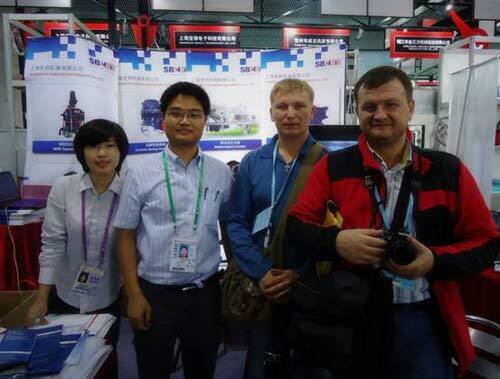 On October 15, 2010, the concerned 108th Canton Fair held in Chinese Export Commodities Fair Exhibition Hall. Shanghai Shibang's dozens of high-tech crushers and milling machines debuted on the exhibition, many merchants have shown keen interest on Shibang machines, expecting further discussion of cooperation. Through this exhibition, Shanghai Shibang gained a low-cost opportunities of contacting customers, and had more communication and understanding with potential customers. The 5-day exhibition wins Shanghai Shibang Machinery tens of millions'site transactions and received thousands of customers at the booth, including 1 / 3 old customers . In addition, nearly 70 customers came to the company headquarters and industrial park for further investigation, in which nearly 30 clients had entered into a collaboration agreement with SBM. According to the data, either the contract or the number of customer visitors, comparing with last year, has increased by 30%.